We recently had the great honor of being selected to participate in an anti bullying event for the Scranton Wilkes Barre Rail Riders. It was great to be selected by this organization to come out and talk to thousands of kids about bullying and what they can do to help prevent it. On top of just talking about anti bullying we also got to do some lessons and demonstrations with a bunch of the students who were in attendance. It was a ton of fun. The weather was great and not only were there thousands of kids in attendance but most of these kids were truly interested in learning what they can do to help prevent bullying in their schools. That is a great audience to work with. We got to talk about many different ways that kids can help out in their school in the fight against bullying. We got to talk about how if a group of friends come together to work against bullying it will be very effective, if a whole class works together it is even more effective and then if a whole school works together to fight against bullying then it will be unstoppable! The Scranton Wilkes Barre Rail Riders were also kind enough to give us a great amount of space to work with. This really made it easy to interact with and talk with all of the kids in attendance. One of the great things about this location was that it gave us plenty of space to do some demonstrations and even teach the kids some martial arts and self defense while they were there. 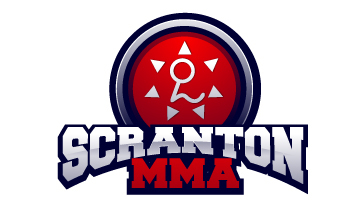 It is great to talk to kids in the Scranton area about our anti bullying program at Scranton Mixed Martial Arts but it makes it much more effective when we are able to demonstrate some of the martial arts and self defense techniques we teach at our academy. It really makes it easier for the kids to connect with us and with our strategy when it comes to dealing with bullies. Again we want to thank the Scranton Wilkes Barre Rail Riders for putting together such a great event. Honestly from start to finish the entire event was great and it really helped show kids how important the bullying situation is in the scranton area. If you or anyone you know is interested in learning about our anti bullying program please just let us know. We are always happy to talk to one kid, one parent or entire groups.